(TibetanReview.net, Dec03, 2016) – China has stepped up its sanctions on Mongolia for having disobeyed it by allowing a visit by Tibet’s exiled spiritual leader, the Dalai Lama, last month by imposing new tariff on its exports. With effect from Dec1, China has imposed new fees on commodity shipments between the two countries through Gashuun Sukhait, a major border crossing between the two countries, reported Reuters Dec 1. The report said the crossing was used to export copper from the giant Oyu Tolgoi mine run by the multinational giant Rio Tinto, as well as coal from the Tavan Tolgoi mine, which China’s state-owned Shenhua Group was currently in the running to develop. A notice issued by local authorities in Chinese ruled Inner Mongolia was cited as saying each Mongolian vehicle entering Inner Mongolia would be charged a transit fee of 10 yuan ($1.45) each time it passed through the border. An additional charge of 8 yuan per tonne would also be imposed on any goods delivered by such Mongolian vehicles. The Chinese notice was cited as saying that for precious metals and copper concentrate worth more than 10,000 yuan per tonne, Mongolian exporters would be charged 0.2 percent of the total value of the cargo. Reuters cited Dale Choi, an independent mining analyst in Mongolia’s capital Ulaanbaatar, as saying 900 trucks passed through Gashuun Sukhait every day, adding that around 133,000 tonnes of copper concentrate was delivered into China every month via the crossing. Asked about this development, Chinese Foreign Ministry spokesman Geng Shuang has made it clear Dec 1that his government had expressed its position many times on the Dalai Lama’s visit while refusing to confirm whether the new border fees were connected to that visit. 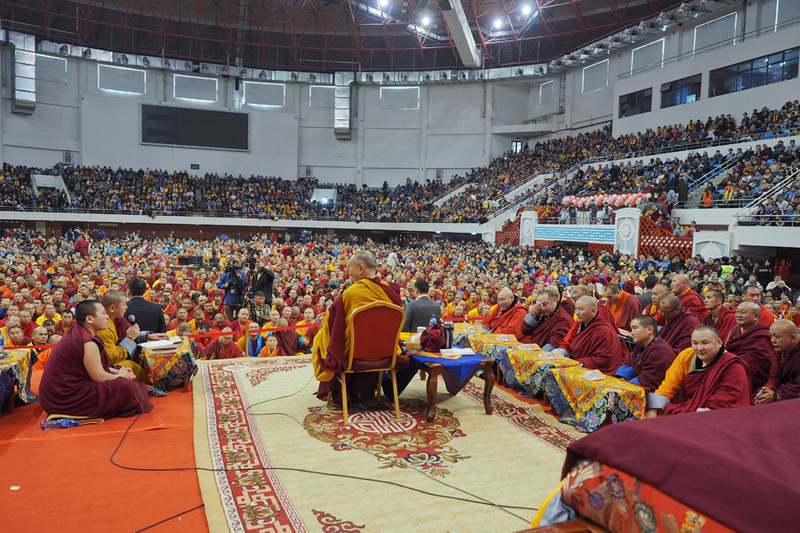 Geng had previously said Mongolia needed to “adopt effective measures to eliminate the negative effects of the Dalai Lama’s visit”. The new border tariffs came after China had already postponed a Nov 28 high-level meeting between the two sides while also freezing other diplomatic exchanges.